Holidays usher in the warmth of comfort foods and large roasts, but many restaurants aren’t spending enough time and effort to present their hot foods in an aesthetic way. 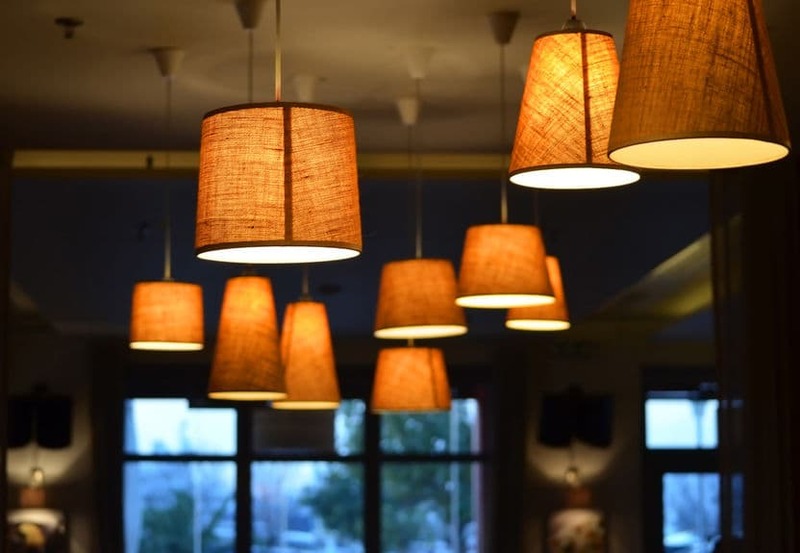 Decorative heat lamps are many times overlooked in the grand scheme of restaurant setups, and employees either rely off of standard heat lamps or warming platters to merely get the job done. In fact, decorative heat lamps add another layer of ambiance to show customers that you care about their food preparation and that you’ve taken the time to pay attention to details. Decorative heat lamps can be used in a variety of styled restaurants and in a multitude of areas within your restaurant to improve ambiance and comfort. Let’s take a look at some different setups to get your creative juices flowing! Carving Station: Many buffet-style restaurants and even standard dining areas utilize carving stations for fresh-carved meats! In this way, chefs help to keep meats in one, juicy cut for longer periods of time, freshly carving it for customers on demand. While the idea is gourmet, it can leave much to be desired without proper setup and design. Carving stations combine the quality of a decorative heating lamp with a carving board, making it the perfect setup for your upscale carving station. Transitional Area: From back-of-house to item pick-up, many restaurants utilize bar heating lamps to merely ‘get the job done’ to keep items warm on the transition line. This area is, for many restaurants, visible to dining patrons and should thus be treated with the same design integrity as the rest of the dining area! A row of smartly-placed decorative heating lamps meshes your dining area with the kitchen in a way that doesn’t clash with the design and theme of the restaurant. To-Go: While to-go items may sit in the transition between kitchen and front-of-house (see post above), you may also have a completely separate area for these. Because this area is more accessible to hosts/hostesses, it’s probably also visible to walk-in patrons. Utilize a single warming lamp to keep to-go items warm! Buffet Lines: Many times, food stations are already equipped with bar heating lamps. For higher-quality or more decadent spotlight items, consider setting up a station with decorative heating lamps to emphasize these upscale dishes. Keeping an eye out for details is what can put your restaurant over the top, and decorative heating lamps are both pragmatic and beautiful. Emphasize your quality products with the right heating lamp for every area!